This course can be customized for specific product lines. CAD or Product managers should call 312.226.8339 to inquire about custom tutorial development and costs for onsite training. We also offer this course in the Design-Engine Video Training Delivery System or TDS for short. Note: This class is administered differently to design engineers who are interested in capturing form from those industrial designers interested in proving form using this amazing software. Expect to be one of two students in this course. This class can be offered anytime so call 312.226.8339 to schedule with a course coordinator. Extensive experience with Creo surfacing and prior Creo Style experience required. It is strongly recommended that you take our Level 2 or Level 3 Creo surfacing workshop prior to this course. It is not necessary, but helpful if the participant already has an understanding of light reflections and G2 continuity or a basic understanding of A-Class surfacing. Compare ISDX to Alias modeling techniques and discuss differences between each. Discuss three to four part boundaries and as well as problems with three part boundaries setting users up to solve all problems with four part boundaries. 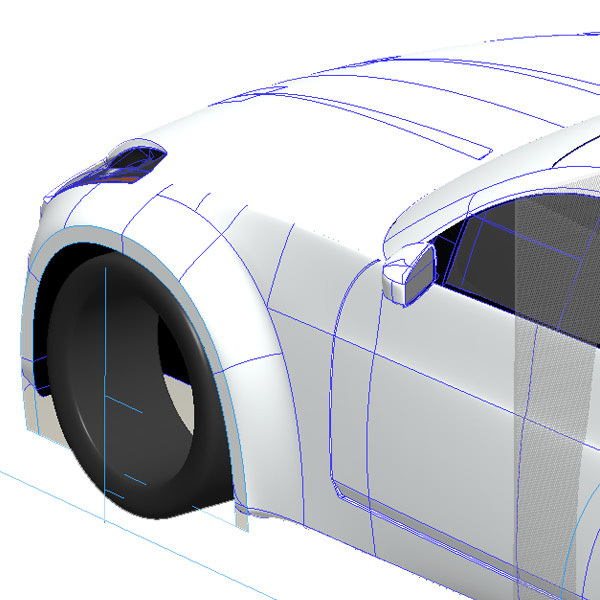 Create ridiculously robust models utilizing bounding box and 3D lattice structures. Discuss incorporating handles for further control and understanding over surfaces that look at those curves. Students, if interested, can explore Curvature Continuity (G2) and multiple plans of attack by looking at existing products. This course is usually customized to focus on the students learning wishes and company projects. Bring example of work or problematic models for context discussions. We supplement this training with techniques utilized by Alias, which is what is primarily used in the automotive industry. Hands on efforts through as many as ten tutorials that are illustrated through computer examples. 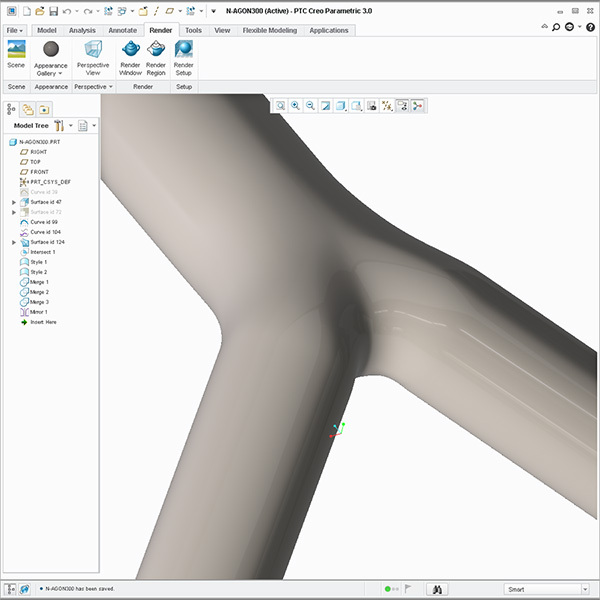 Learn to use Surface Edit tools for modeling a human face, bionic finger and a Harley seat and make significant modifications to surface geometry that would otherwise require remodeling while maintaining tangency or G2 continuity. 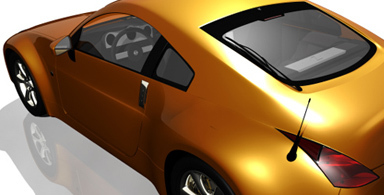 Compare similar functionality to Alias Studio to discuss modern modeling techniques used in the auto industry. 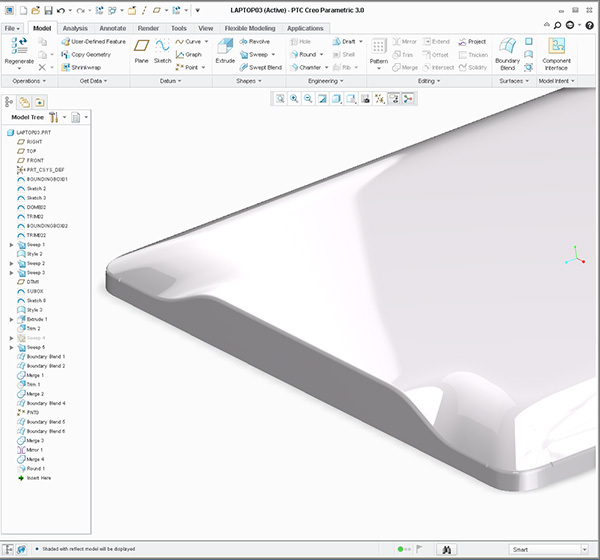 Unlock the power of 5 & 7+ degree curves in Creo Style. This Creo training course is developed for more advanced surfacing modelers who want to become experts at Creo Surfacing or A-Class Surfacing. We help you become expert surface modelers with this course. We do not read to you from an exercise or a book. In this course we help design engineers & industrial designers learn how to make changes quickly to set them up for becoming expert faster. As with all Design-Engine classes participants keep the training material login and password for life.